Commercial grade Pastry Bag Stand, for holding filled decorating bags during use. 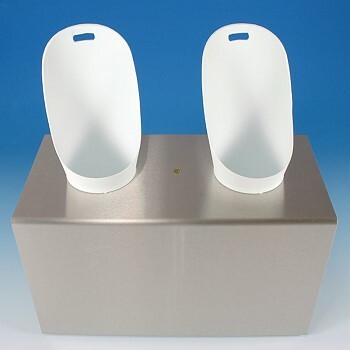 Beautifully crafted from stainless steel with sturdy white plastic support cones. These tall support cones are shaped to allow for easy filling of pastry bags. Accommodates both large and small pastry bags. 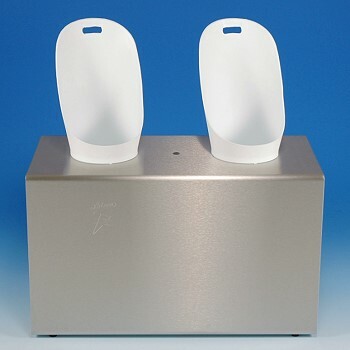 Stand can be used free-standing on the counter or mounted to the wall. 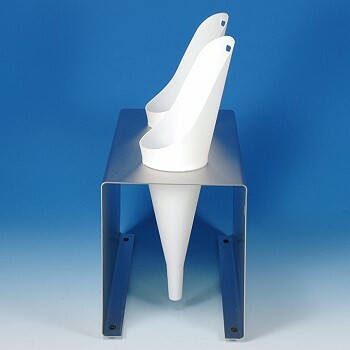 Stand Dimensions: L: 14", W: 7", H: 8 1/2"
Plastic Support Cones: L: 8", W: 3 1/2"